IGTV: Instagram’s TV or Influencer’s TV? 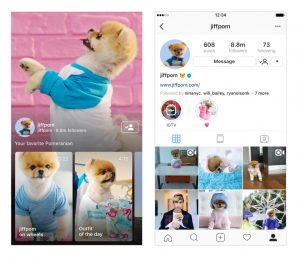 On June 20, 2018, two major announcements were published on the Instagram Info Center. The first being that Instagram reached one billion users. 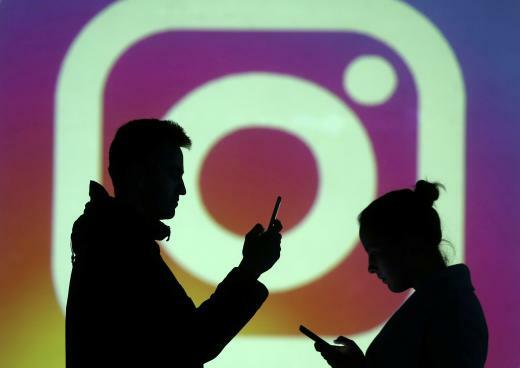 The second was the launch of a new stand-alone application affiliated with Instagram: IGTV. Kevin Systrom during the launch of IGTV in San Fransisco. Variety, 20 June 2018. Credit: Roettgers, Janko. Cisco predicts that by 2021, 78% of mobile data traffic will be traced to mobile video. The success of the Story feature for Snapchat was a testament to vertical videos’ potential. Therefore, the launch of IGTV can be perceived as a gamble from Instagram to be the leader in a possibly booming industry of vertical video sharing platforms. With the promise of being simple, mobile-first and easily discoverable, IGTV’s mission is clear: facilitate both production and consumption of videos on smartphones. 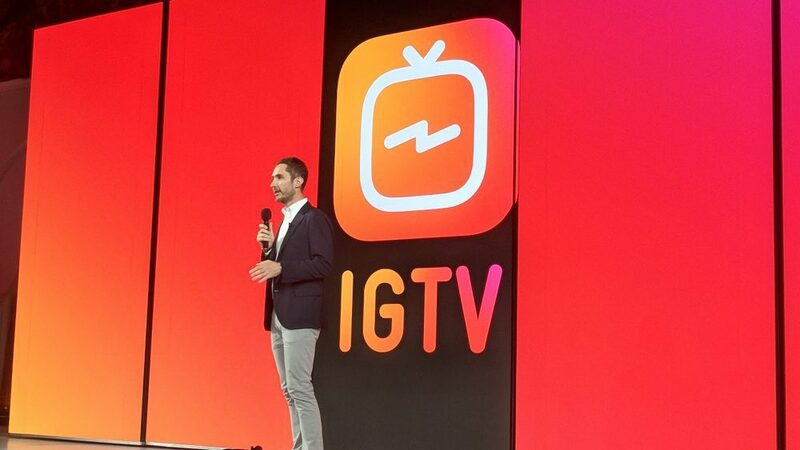 When describing the functions of the new app Kevin Systrom, Instagram’s CEO, said: “just like turning on the TV, IGTV starts playing as soon as you open the app.” It is safe to say that Instagram’s executives want to position IGTV as a modern television for small screens. Hence, attracting a younger demographic disconnected from the traditional television. It is a strategic choice since teenagers drove the early growth of social networks such as Facebook, MySpace, and Friendster (Miller). By comparing IGTV to a smartphone’s television, Instagram automatically positions user-generated content as their creative fuel. The content creators replace the production studios. We can see how new media recycle old mass media methods and practices to frame them according to the current platforms. And whenever the word “mass media” is mouthed, advertising quickly follows. However, Kevin Systrom stated that the application can be enjoyed without advertising distractions… for now. He quickly added that a possible insertion of an ad-based revenue model is still considered; revenues that will be shared will content creators (Constine). The launch took place during a publicized event in San Fransisco, California. Influencers such as Lele Pons (28.4 million followers), King Bach (16,2 million followers) were key guests. The New York City launch followed the same patterns. It moved from a corporate environment to a rave atmosphere animated by digitally-grown artists like Alessia Cara. The attendees were encouraged by the Instagram’s team to “create content” in the offices of the company (Schwedel). The videos aired in the new app are produced by top creators and chosen based on the viewing history of Instagram’s users (Roettgers). IGTV allows regular users to post up to 10 min videos while verified channels have the possibility to post up to one-hour videos (McCue). Therefore, IGTV enacts as curator and gatekeeper by suggesting and encouraging certain content while obscuring other(Gillespie 347). The choice to prioritize influencers during the launch event comes from a deep awareness of the power they hold. Simultaneously, one can only predict the power they will leverage using a platform that clearly favors them and is based on video suggestions to users. A Pew Research Center report shows that Facebook, the parent company of Instagram, is no longer popular among teenagers with only 51% of U.S teens users in 2018; now surpassed by Youtube (Anderson and Jiang). Sad news for Facebook since a platform popular among teenagers implies a platform with a heavy traffic of easily influenceable individuals and by definition a platform with worthy advertising space. In the past decade, teenager’s media consumption moved away from MTV to Youtube. Teenagers could use an interactive platform to connect with someone like them. They value connectedness just as they value popularity: two principles of the social media logic. Social media logic is interpreted by Van Dijck and Poell as how social platforms channel social traffic (5). While teenagers see content creators as their friends, a creator with large followings sees them as mere analytics. We could be witnessing here a revival of the recuperation concept as first coined by Guy Debord, where subversive ideas ( independent digital content creators) get sterilized and assimilated into the mainstream culture (celebrity culture) to benefit the dominant ideologies (capitalism). In this highly visual society, dissent from Hollywood is being commodified, the authentic is capitalized on, and the power of recommendation is monetized through sponsorship deals. For digitally natives born in the Web 2.0, the social status of an influencer has become so ingrained in the mainstream culture that it has become a tempting job title in the same way as being a Hollywood’s actor. Web 2.0 mechanisms have transformed ordinary people into SMIs, Social Media Influencer. A word often used in Public Relations studies, SMIs refer to “a new type of independent third-party endorser who shapes audience attitude through blogs, tweets, and the use of other social media.” These influencers’ power to sway public opinion can be seen as problematic by corporations fearing bad publicity, but at the same time their powers can also be co-opted and used as a branding agent. Public Relation’s scholars have tried to understand the perceived personality of SMIs in order to provide tactics enabling the optimization of their social capital (Freberg et al. 90). Social media’s analytics make human capital more quantifiable by measuring the engagement, the likes, and the followers (Gerlitz and Helmond 2). In fact, many aspiring influencers buy (with real money) likes and followers from click farms to boost their online social capital (Faucher, 14). This maneuver can be seen as an investment because based on these numbers, advertisers can curate SMIs and monetize their power to recommend certain products through promotional tasks (Van Dijck and Poell 7). As media critics speculate that the launch of IGTV can be seen as war declaration on Youtube, Instagram’s executives are aware that a good strategy to win this war is by attracting already established influencers into their new platform. One way to lure content creators and create a possible exodus from Youtube to IGTV is by offering a monetary incentive, which is not a current option for IGTV. However, for well-established influencers not being monetized is far from a deal-breaker since their business model is based on sponsorships (Alvarez). Anderson, Monica, and Jingjing Jiang. “Teens, Social Media & Technology 2018.” Pew Research Center, 31 May 2018, www.pewinternet.org/2018/05/31/teens-social-media-technology-2018/. “Cisco Visual Networking Index: Global Mobile Data Traffic Forecast Update, 2016–2021 White Paper.” Cisco, 28 Mar. 2017, www.cisco.com/c/en/us/solutions/collateral/service-provider/visual-networking-index-vni/mobile-white-paper-c11-520862.html. Debord, G. (1967). The Society of the Spectacle (F.Perlman &J.SupaK, Trans.). London: Rebel Press. Freberg, Karen, et al. “Who are the social media influencers? A study of public perceptions of personality.” Public Relations Review, vol. 37, no. 1, Mar. 2011, pp. 90-92, doi:10.1016/ j.pubrev.2010.11.001. Gerlitz, Carolin, and Anne Helmond. “The Like economy: Social buttons and the data-intensive web.” New Media & Society, 4 Feb. 2013, pp. 1-18, doi:10.1177/146144481247232. Gillespie, Tarleton. “The politics of ‘platforms. '” New Media Society, vol. 12, 9 Feb. 2010, pp. 347-64, doi:10.1177/1461444809342738. Van Dijck, José, and Thomas Poell. “Understanding Social Media Logic.” Media and Communication, vol. 1, no. 1, 2013, pp. 1-13, doi:10.12924/mac2013.01010002. « Spare Change Investment: Saving for the Future or Selling Out Today? IGTV: The Latest Blow to Traditional TV? Is IGTV set to tilt our perception of online videos from horizontal to vertical? From Cable TV to IGTV: The media might indeed be the message.